← SOLD! Camp or Starter Apartment Hutch / Entertainment Center or Use It in the Garage! SOLD! 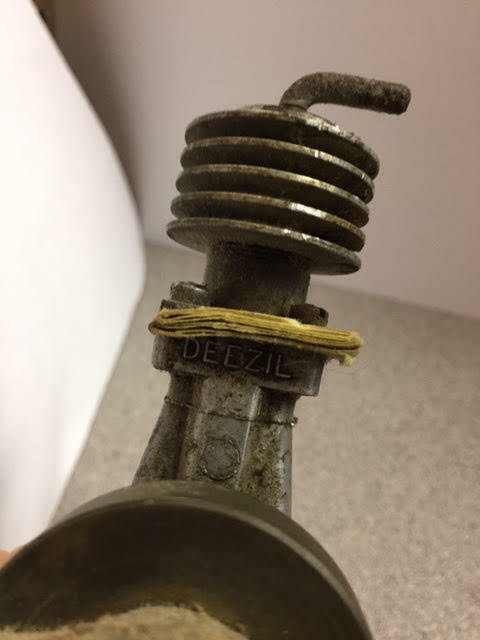 Vintage Deezil Model Airplane Engine! This was a nice find! 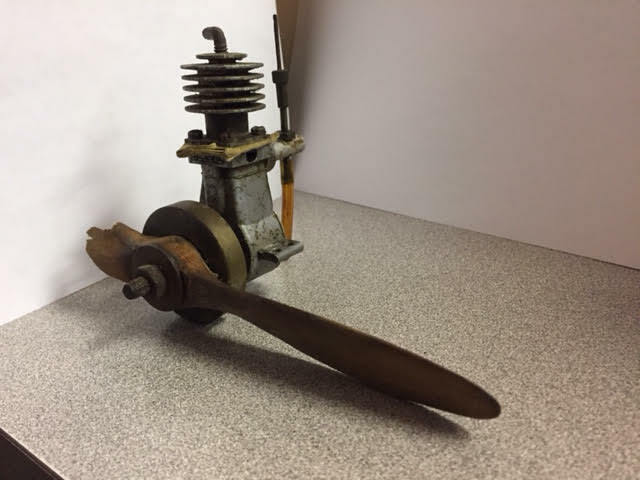 It’s a vintage Deezil “A” .125 – a diesel model airplane engine. 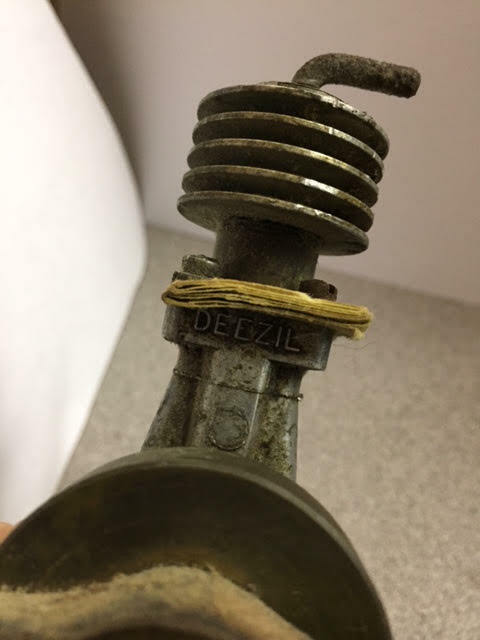 I don’t know anything about this; my husband would have though.. and he would have been thrilled to have gotten his hands on it! 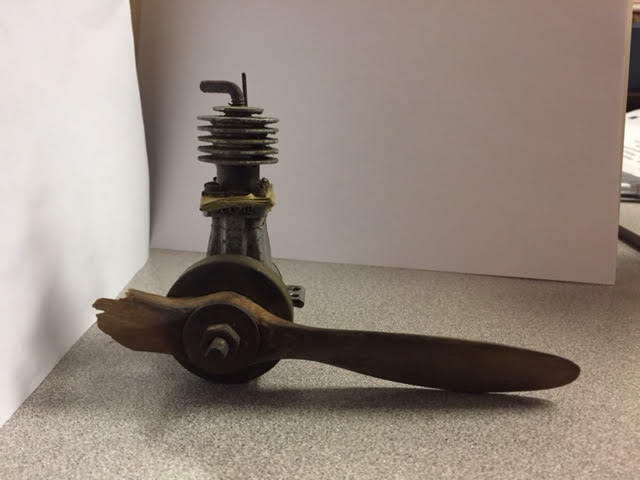 Condition: It seems to be in good condition except for the broken propeller. Price: Just $40.00 at Heritage Collectibles. Plus the standard 5.5% sales tax, of course! Please note: The shop will be closed for about a month beginning in late August 2017 (dates still to be determined), while Linda visits her daughter and son-in-law for the birth of her first biological grandchild! 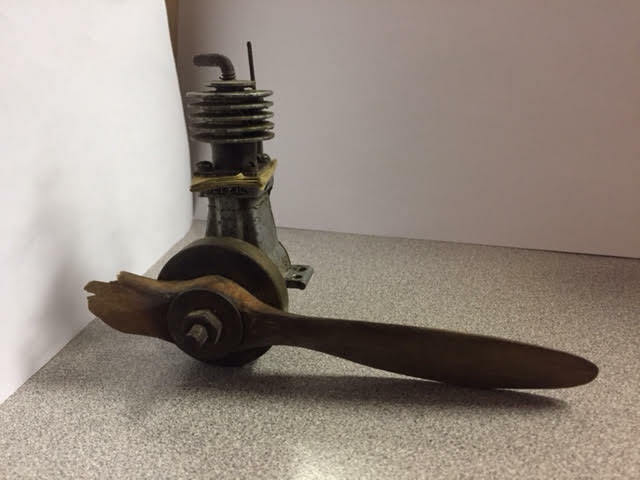 Prices on many items are being reduced prior to that time, to help get the shop cleared and organized, and ready for new inventory when Linda returns – in time for the holiday season. 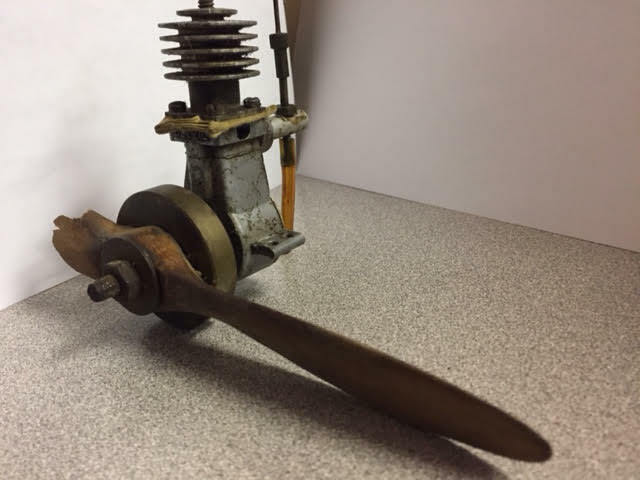 This entry was posted in Engines & Motors - Model, Miscellaneous, Models, Toys - Antique & Collectible and tagged Deezil, diesel model airplane engine, Heritage Collectibles, Heritage Collectibles Books & Maps, model airplane, model engine. Bookmark the permalink.